one of the most epic editorials ever in the history of the world. i wanted to save it so perfect that instead of cutting it out of the magazine, i cut all the other pages out but these. OMG IM IN LOVE WITH YOUR BLOG! 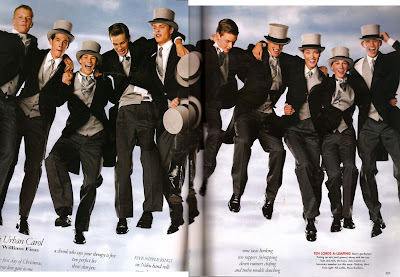 i just discovered it on wikio, i LOVE vogue! how vast is your collection! i just started mine a few months ago! thank you for the compliment. its a nice way to start the new year. 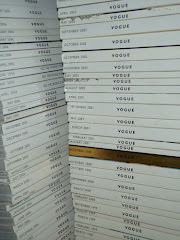 my vogue collection begins in 93. i have a few scattered issues from the 80s. my british vogues begin in 1996.